Like it or not, fall is here. I really expected more hurricane discussion up to this point, but a once-promising season is yet to deliver. But the change in seasons does not mean there’s any shortage of interesting topics to discuss. 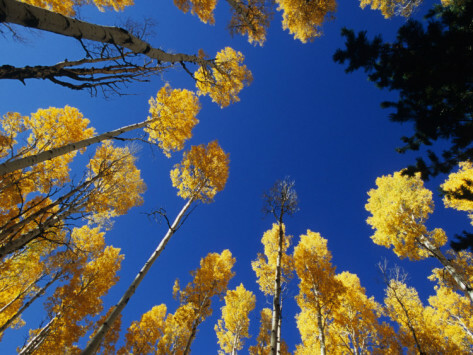 Autumn is my favorite season, and one reason for that is the beautiful, blue skies. The color is deeper and it makes the sky look so much larger. But am I just imagining this or do the skies really become bluer in the fall? Of course they do! Otherwise this would just be a post about my own delusions. The sky color does change and I would expect a few pictures to pop up on the Wildcard Weather Twitter Feed over the next few weeks. To understand why this happens, lets quickly go over why the sky is blue. Back in the 19th century, John William Strutt (also known as Lord Rayleigh) discovered the equations governing the scattering of light by the molecules of oxygen and nitrogen in the atmosphere. To simplify his very technical equation, the intensity of Rayleigh scattering is inversely related to the wavelength. 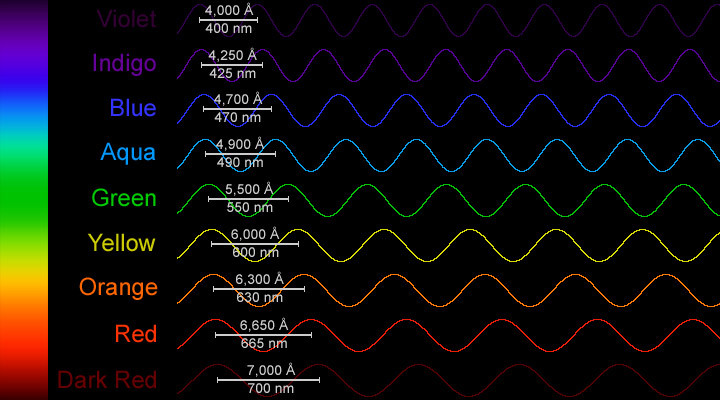 The wavelengths of different colors in the visible spectrum. The shorter the wavelength, the more it’s scattered. And the more its scattered, the more it reaches our eyes from different directions, dictating what color we perceive the sky to be. Except…. 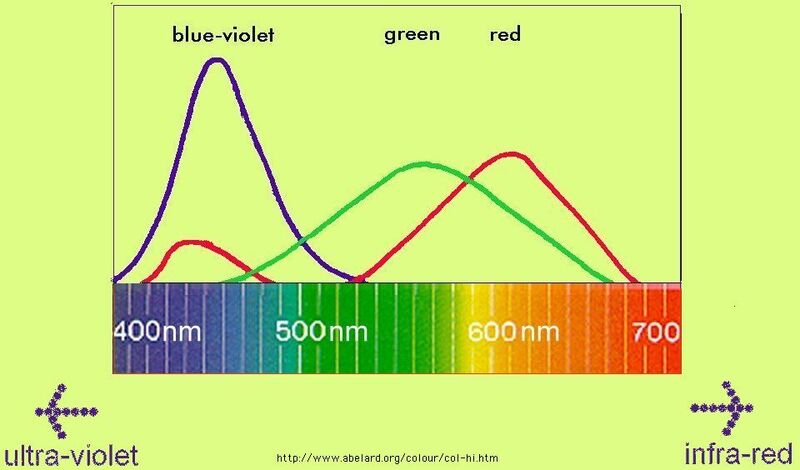 violet has an even shorter wavelength than blue. So shouldn’t the sky appear violet? The reason here has more to do with our eyes than the sky itself. The cones in our eyes that detect violet and blue light are much more sensitive to blue light, causing us to see a blue sky. Look at the next image, which shows the sensitivity regions of the three different types of cones in our eyes. The blue-violet cones are much more sensitive to blue light than violet. So what can make a sky bluer? Up here in the northeast the sun begins to sink lower and lower in the sky as we move through autumn. This is true for anyone living in a temperate zone (between 30 and 60 degrees latitude N and S). The sun is no longer directly overhead and more of the sky is significantly angled away from the sun. The Rayleigh scattering directs more blue light towards your eyes while the indirect sunlight decreases the incoming levels of red and green. So the sky does appear bluer. There is also less humidity in the fall. Cooler air temperatures and a different jet stream pattern means there is less water vapor and water droplets in the air. The vapor and droplets scatter light different than the smaller oxygen and nitrogen molecules. Light is directed forward instead of more evenly across all directions. For the sky overhead, Mie scattering is directing more blue light back into space and away from your eyes. Since the fall brings less humidity, less Mie scattering takes place. Less Mie scattering, more Rayleigh scattering, and the skies get bluer. Simple right? No? How about a lower sun position and less humidity? Luckily Autumn brings us both and thus, beautiful deep blue skies! If you take any great pictures of autumn blue skies tweet them at me @wildcardweather, I’ll re-tweet them out! ← To the Moon, Alice! Ha! I thought so! Thanks! Is it true for spring too. Are there more deep blue skies in spring and autumn ? What’s true for autumn is generally true for spring as well. Springtime blues will tend to be more vibrant than summer, we just do not notice as often because we are transitioning towards the lighter shades. What I mean by a more “vibrant” blue in this situation is a shorter wavelengths, a color closer to violet on the visible spectrum. Spring and summer skies can appear more violet due to Rayleigh scattering and lower levels of humidity, as explained in the text of this post.